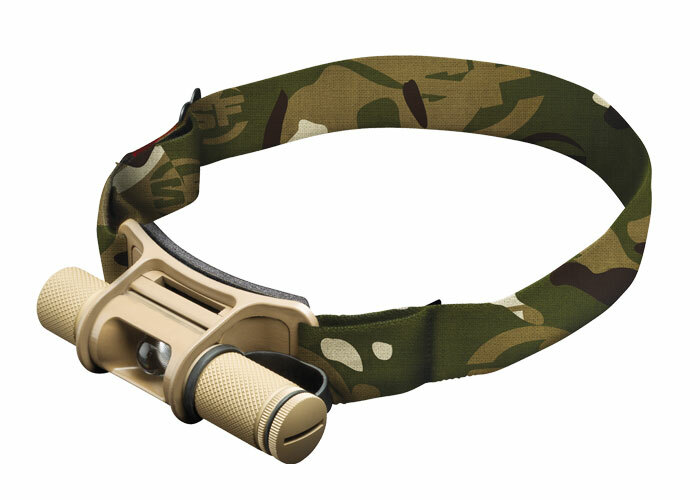 SureFire just posted on Facebook of what looks to be a new tactical headlamp: the SureFire Minimus Tactical. This headlamp features a high-efficiency white-light LED with adjustable output (zero to 100 lumens); a knurled no-slip right-hand control knob; a tilt control knob; and runs from 1.5 hours to 50 hours (depending on lumen usage) on a single 123A battery. Other features are the read, blue and green filters that give you the option of low-signature light that also preserves dark-adapted vision; and a long-running SOS safety beacon. It weighs 3.3 ounces. The head band features a moisture-wicking Breathe-O-Prene® pad. Made of polymer and aerospace aluminum, this hard-anodized headlamp is lightweight, durable and can be submersed in water to 3 feet for up to 30 minutes. A great, sturdy all-purpose headlamp. The SureFire Minimus Tactical retails at $159.00. Buy this headlamp at BladeHQ.com for a great deal!